The following tour categories are designed to make your decision easier. Explore Sri Lanka’s rich heritage with our Sri Lanka cultural Tours. Visit the ancient cities of Anuradhapura and Polonnaruwa, climb the famous rock fortress of Sigiriya, be amazed by the cave temples of Dambula and the many other highlights which are making Sri Lanka’s culture so unique. Sri Lanka is known for its diverse wildlife. There are not many places in this world where you can see wild elephants along with leopards, bears, wild boars, monkeys and many, many more animals. Thousands of migrating and domestic birds make Sri Lanka a paradise for bird watchers. Or wildlife tours can include 4×4 Jeep Safaris, guided trekking through pristine rain forests and luxury camping in one of the major National Parks. This special Sri Lanka Colonial Tour is aimed at the connoisseur of high-end living and architectural beauty. While visiting Sri Lanka’s major sights you will be staying at authentic colonial hotels, lovingly restored to their former glory. Enjoy the luxury and splendour of the “old days”. 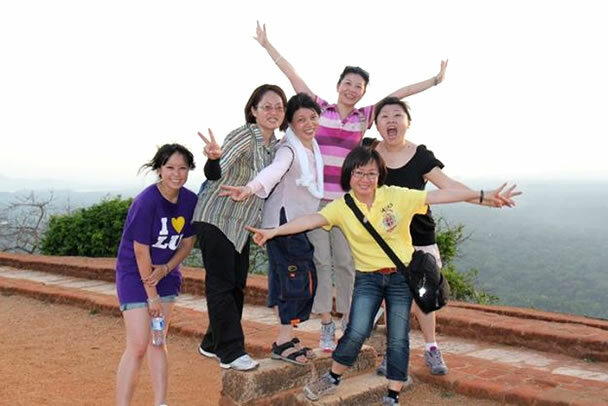 Sri Lanka Adventure Tours are for the more pro-active visitor to Sri Lanka. Cycling, trekking, white river rafting, elephant & jeep safaris are just a few of the exciting options. Ideal for families and groups. Especially young, independent travelers to Sri Lanka find our Sri Lanka Budget Tours the best option to discover the island in a pleasant and affordable way. What our selected guesthouses and private homes might lack in general hotel facilities they easily make by a family atmosphere and highly competitive rates. Grom half day to full day Colombo city tours we arrange tours covering all the major attractions like Independence square, Buddhist temple at Kelaniya, National museum in Colombo, Pettah bazaar & the main shopping complexes. Special casino tours are organized by us as well. Discovering Sri Lanka on a bicycle is the best way to explore this unique island with so many hidden wonders waiting to be discovered. Depending on your requirement we can organize customized cycling trails covering a distance of 40 to 100 kms per day covering the whole island. Special dirt road bikes are provided for the adventurous to explore the rugged terrain of Sri Lanka. local Accommodation & camping can be also provided.